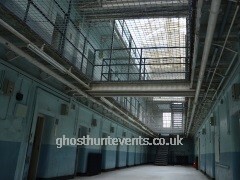 Experience a night of ghost hunting at Shepton Mallet Prison, Somerset with Ghost Hunt Events on 28th September 2019 9:00pm until 3:00am. Tickets £55 per person. 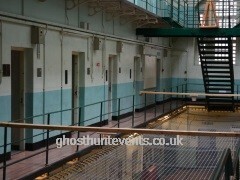 VIP tickets available at Shepton Mallet Prison for £10 extra per person, see VIP info for information. AMAZING, EERIE, WONDERFUL, AWSOME, SCARY. 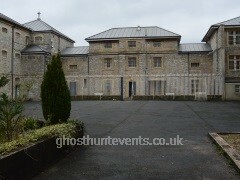 This was a truly awesome place to visit with the brilliant team from Ghost Hunt Events, always a pleasure to be with you guys. Thank you for the experience at Shepton Mallet we had a fantastic time...Great experience and will be joining your company again.